Andrew Shaw Memorial Trust Cabin on 140 West Avenue. 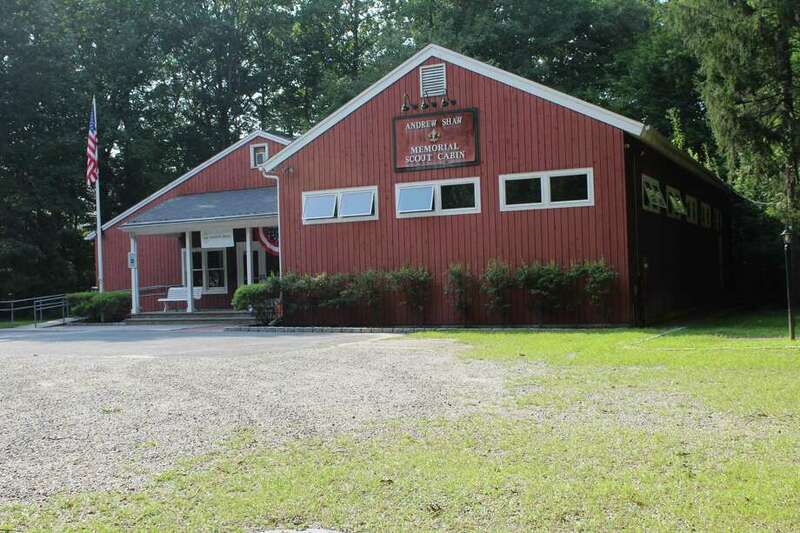 DARIEN — The Boy Scouts’ Annual Big Tag Sale tradition will continue, but this time with stipulations. A proposal to demolish a Boy Scouts cabin on West Avenue led to concerns by neighbors of the Scouts’ Big Tag Sale, an annual event established in 1972. Neighbors also came out against the size of the proposed 8,000-square-foot cabin. The special permit application for the tag sale allowed for one week, but testimony from neighbors said the event could last up to six. On Oct. 30, the Planning and Zoning Commission addressed the length of time and size of the annual event. Members said stipulations were necessary going forward, but could not yet agree on what those stipulations would include. “I don’t care any way they want to spin it. They’re in violation of the original special permit,” Planning and Zoning Chairman John Sini said. Though the tag sale had been going on for years, he said he didn’t understand how the problem wasn’t addressed before. “As it’s set up now it’s going on way too long,” Sini said. Jennifer Leahy, member of the commission, also said six weeks was much too long for the event. Despite this, Sini said the reality of a one-week setup and tear-down for the event may not be feasible. “We have to find some sort of a compromise between the neighbors, our regulations and the applicant,” Sini said. Commission members were split on the length of time. Leahy pushed for two weeks, while other members pushed for four. With commission member James Rand and Elizabeth Riva absent, they agreed to delay the decision on the time constraint to their next meeting. Neighbors’ concerns of the size of the new structure were also addressed. If a homeowner came with a similar proposal, it would be tough for the commission to decline, he said. The commission has until the end of November to officially vote on the proposal.